South Florida cooler weather is upon us and a new collection of outdoor furniture by French design firm Sifas adds visual interest to outdoor spaces without sacrificing durability. 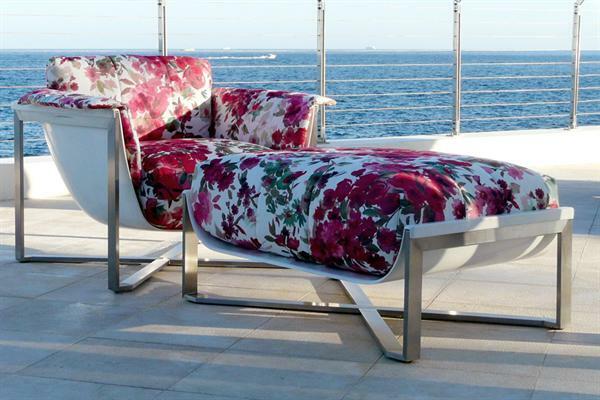 The Kocoon collection’s meshlike 3D fabric—available in white, taupe, and floral—is fortified with resin to create dynamic shapes and is UV- and water-treated to stand up to South Florida outdoor use. Its contemporary curved shell is made from a lightweight composite and is supported by soldered, stainless steel polished tubular feet and legs. The collection features a dining chair, a lounge armchair, a foot rest, a love seat, and coffee and end tables. Learn more about Sifas outdoor furniture in Miami contacting and or visit our showroom to experience Sifas and our other patio furniture lines in Coral Gables, Miami.